The AMS Sledge Movement System provides a simple and cost effective solution, for the removal of a disabled Aircraft from an area of uneven or soft ground. 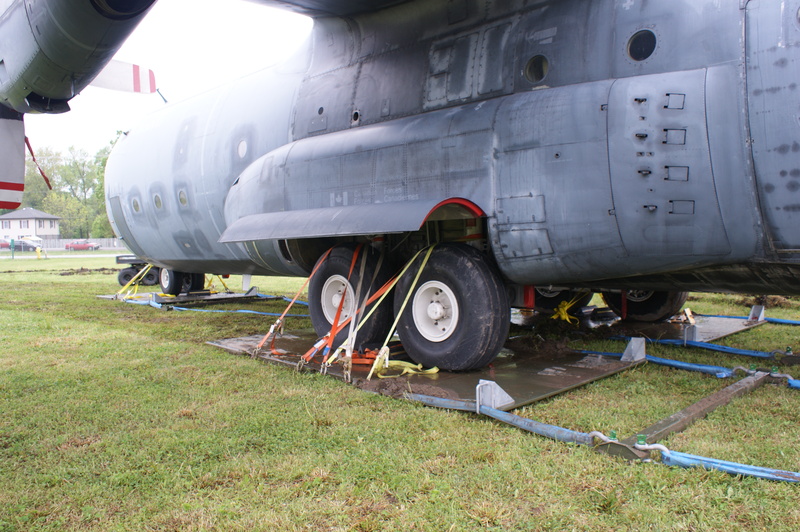 The advantage of the AMS Sledge is that it uses a unique hinge design, which allows the sledge to articulate over rough uneven surfaces, the design is the result of our experience in using Sledge systems to recover aircraft. The AMS system has a distinct advantage over the "solid" type sledge offered by other manufacturers, where excessive loads generated by uneven surfaces can cause irreparable damage to the sledge and generate excessive hauling loads. The Sledge can be assembled at the sight of the incident without the need for specialised tools or equipment. The Sledge consists of several individual components, its simple design requires minimal operator training for assembly and maintenance. 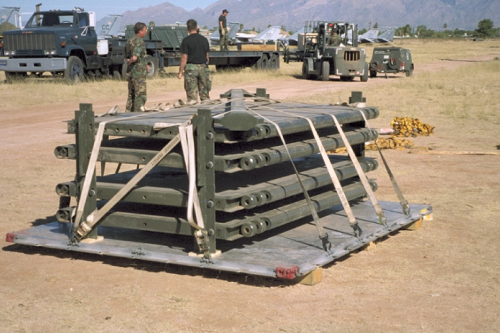 Once assembled and secured in position under the Aircraft, the system, including Aircraft, can be hauled from the infringement area. During the movement operation, sand can be used as an interface between the sledge and abrasive surfaces, reducing friction and preventing damage to the runway surface and equipment. Where practical, Single Element Airbags should be used to provide an interface between the Sledge and Aircraft and act as an inflatable shock absorber. This will reduce the possibility of secondary damage to the Aircraft. For nose wheel recovery situations, the AMS turntable unit can be used. This modular addition enables minor changes in the direction of pull, during the recovery of the aircraft. All AMS Sledge Movement Systems come complete with rigging attachments and can be supplied with the necessary hauling cables and shackles to complete a recovery. 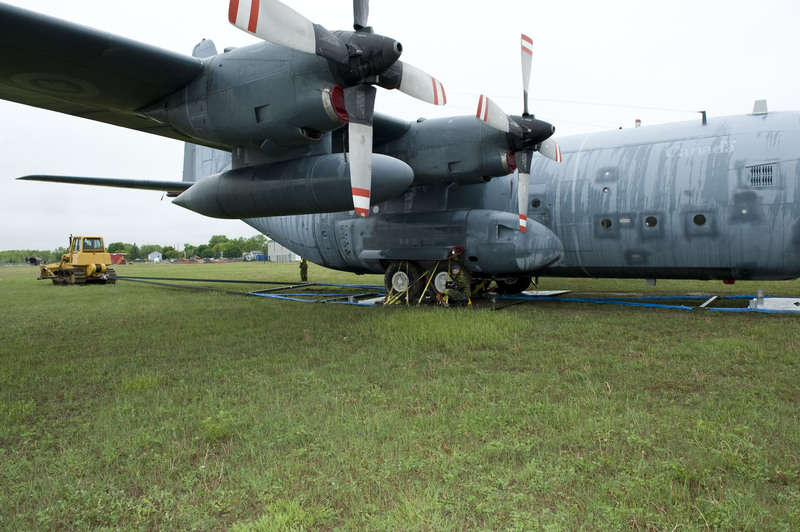 The Recovery and Salvage Support Team (RASS) from the Aerospace and Telecommunication Engineering Support Squadron (ATESS) is moving the First ÒE ModelÓ Hercules Aircraft from the late 1950s. 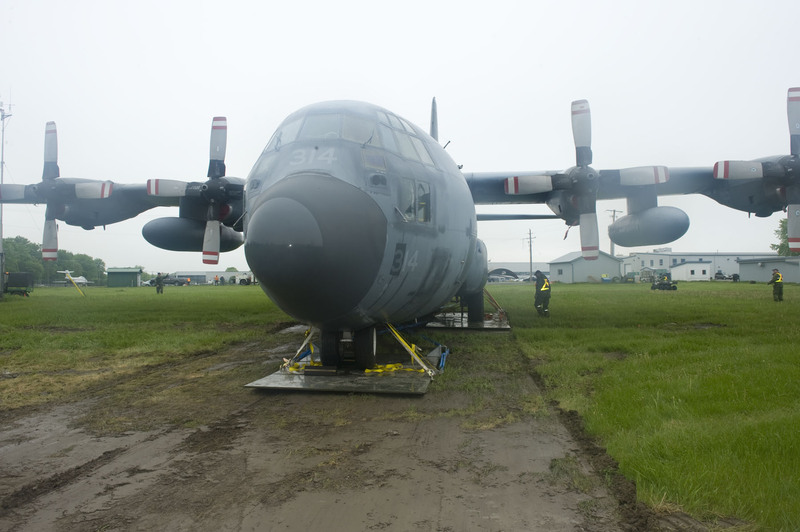 The CC130314 Hercules aircraft is being moved to the Royal Canadian Air force Museum Park. Operational & Stowage Module Dimensions. To save storage space, all Stowage Modules have been designed to stack on top of each other. Removal of the Sledge sections from the stowage modules can be achieved either by fork lift truck or crane. 30 Tonne (3 piece) 103" x 56" x 28" - 1,918 Lb. 40 Tonne (4 piece) 103" x 56" x 36" - 2,645 Lb. 30 Tonne (3 piece) 138" x 98" x 4" - 1,764 Lb. 40 Tonne (4 piece) 190" x 98" x 4" - 2,976 Lb.